Shoppers in County Armagh demonstrated their generosity earlier this month, by donating 6,851 meals to foodbank charity The Trussell Trust and food redistribution charity FareShare for Tesco’s Summer Neighbourhood Food Collection. The bi-annual food collection runs in all Tesco stores across the country to collect vital store cupboard essential foods, such as rice, tea, tinned meat and fish and UHT milk, for people in need. Shoppers were invited to donate food in their local Tesco store in County Armagh to benefit local charities and people referred to a Trussell Trust foodbank in the area. 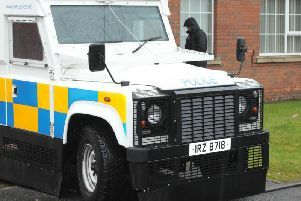 Shoppers in Craigavon, Portadown and Lurgan were involved in the collections. The food collected in store helped contribute towards the estimated total of 2.78 million meals collected for the charities by all Tesco stores nationwide this month. Now in its fifth year, the Neighbourhood Food Collection is run in partnership with Tesco, FareShare and The Trussell Trust. It is held twice a year in all Tesco stores, once in summer and once in the winter. Tesco will financially top up donations made to the collection by 20%. For more information on the collection please go to www.tesco.com/food-collection.